One of my favorite albums is Basia’s Time and Tide. Basia has taken me through many emotional times and I should not be surprised that after this stroke she returned into my life. My brain and body have decided to have a partial trial separation. I know I know they are meant to be together, but now they’re not talking, so with Basia’s help I’m trying to get them back together. Fortunately, I have many people helping us. Here and now is all it’s about, let’s use it or lose it. Both my daughters live in Colorado. When they heard that I was hospitalized they began talking about coming out. I was ready to discourage it because I couldn’t see the purpose or value of them flying to Reno, Nevada. I was wrong. I failed to comprehend the significance of their presence. I have a good close-in support system here with my spouse (Saralinda,) son (Alexander,) and in-laws, but my daughters (Kelli and Katy) added to that support in ways I never could have imagined. They arrived a few hours before I was transferred from Renown Medical Center to Renown Rehabilitation Hospital. They became an extra lift in the uncertainty of the transfer. Saralinda, Kelli, and Katy, joined forces in becoming an advocate for my recovery and the hospital staff recognized that I was not alone. I don’t fully understand how that impacted my care, but I do know that the staff seemed to appreciate their involvement. I’ll be there if you need me, I am your helping hand. Tuesday was an important day in my recovery. On Monday I had a swallow study performed complete with a camera up my nose. From that test I learned that my NG tube would have to remain for the near future because my throat was not working correctly. My swallowing had improved from Saturday’s, but it looked like I was facing at least a week of looking like Mr. Snuffleupagus and the idea of being able to taste food again seemed farther and farther away. I still couldn’t walk without falling over, I’d lost temperature and pain sensation over half my body, my right and left eye were each giving me their independent version of the world, my head and body were in a constant state of spin, and I survived by fluid going in my arm or goo going to my stomach via my nose. There was not a lot of good news. However, all that was blunted by the news that my daughters and one of my granddaughters would be arriving on Tuesday. In the moment it didn’t seem to be that important, but in hindsight, it made my world seem much brighter. It was Tuesday when my life seemed to come back to firm ground. On that day my stroke found out who it was dealing with, and it didn’t expect to be met head on by women of mass reconstruction. It whimpered. 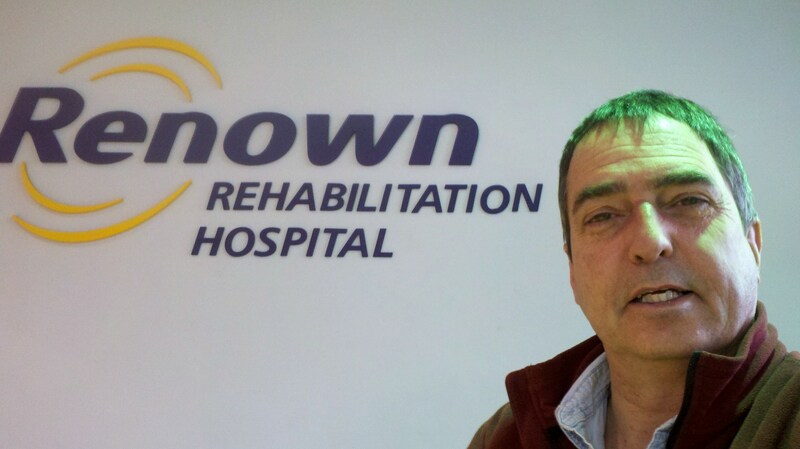 It would be on Wednesday that I…and my stroke, would meet the rest of the team…the medical staff at Renown Rehabilitation Hospital. It was an another good day for me…not so much for my stroke. Paul, am glad to hear that Basia’s music is providing healing for your body and soul – best to you! Thank you! Basia is the type of artist that caresses the soul and creates a perfect image in the mind’s eye.